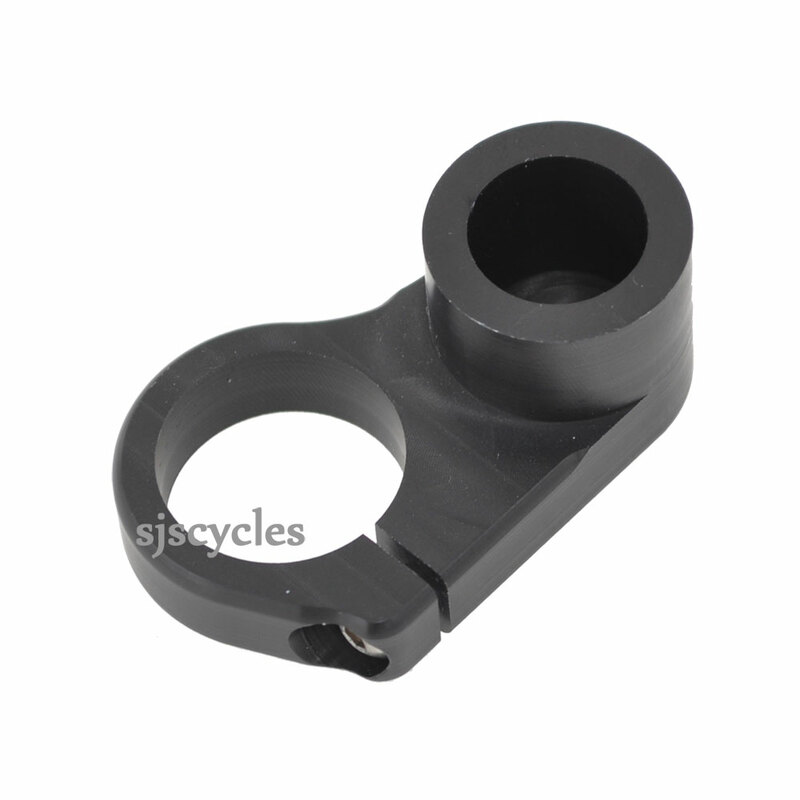 The Jtek 22.2mm thumb mount adaptor for original Jtek Bar End Shifters (not mk2 8s). This allows the Jtek shifters (mk1 7s and 8s plus 11s) to be mounted in a thumb style position giving the rider various mounting positions and more interchangeable options with Jtek shifters. This adaptor is only compatible with Jtek shifters. This adapter was used for fitting a Jtek 11 speed bar-end shifter onto M bars of a Brompton, fitted with a Shimano Alfine hub kit. It appears of good quality, die cast alloy which is machined to a close tolerance. The M type bars have insufficient flat bar inboard from the grips to allow normal fitting of the Jtek. The converter allowed the shifter to be fitted to the upright bar section, positioning it where it doesn't interfere with the fold and so the lever lies near the grip, from where it can be operated by thumb and finger. The close fit of this adapter made it a little tight to pass around the bend, gentle wedging open obtained sufficient clearance to manipulate it around. The alloy felt in-elastic and excessive wedging would have broken it, take care! My rating is purely for my non-standard application.